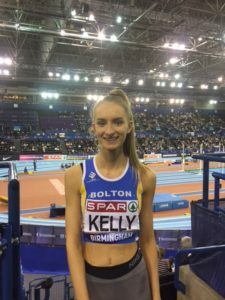 Bolton sprint star Hannah Kelly debuted at Senior British Championships this weekend after an amazing 2017, which had brought her an invitation to compete despite being only 17 years old. 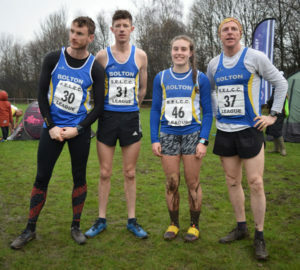 The list of entrants for the 200m was enough to make anyone nervous – Olympic athletes, the European U23 champion alongside British champions, but Hannah took it all in her stride. One of the youngest athletes at the meeting, braving the TV camera pointed directly at her was the first challenge as she lined up in lane 6 for her heat. Obviously nervous, she didn’t get her usual blistering start. However she accelerated hard off the first bend to hold her position. 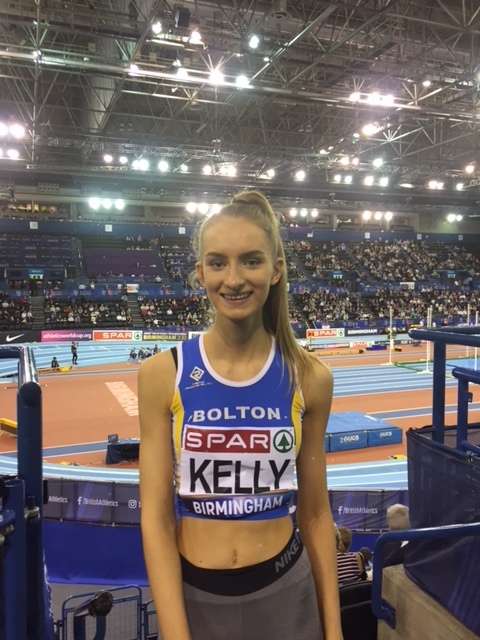 GB international hurdler Megan Beesley and Northern U20 champion Georgina Adam started to pull away but Hannah worked hard for third place in a time of 24.53s, just 0.03s outside her indoor PB, and secure a semi-final spot. Coach Les Hall said, “Luck wasn’t on her side when she was drawn in lane 1 for the semi, but she just got on with it”. Quite often lane 1 is left empty as it is so tight to race in. It was always going to be a massive challenge for Hannah who is nearly 6 feet tall but she was up for it. Now accustomed to her surroundings, a much better start was made – her reaction time was over 0.1 seconds quicker than her heat. 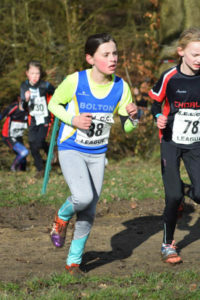 Working incredibly hard in the inside lane, she overtook Mair Edwards in lane 2 after 70 metres. 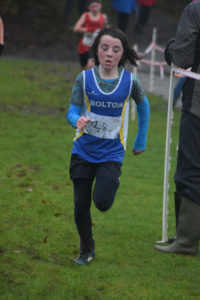 She couldn’t quite reel in any of the other athletes and finished fifth in a time of 24.63 seconds. 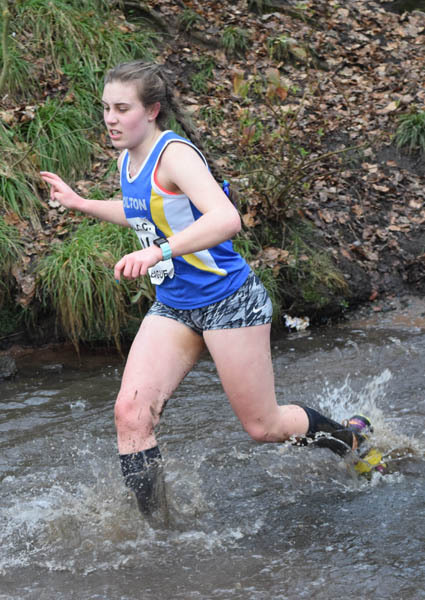 This sets Hannah up nicely for next weekend’s EA U20 championships in Sheffield, where she will attempt to win another medal to add to her growing collection. The first hints of Spring were in the air as the final South East Lancashire Cross Country League race took place at Chorley’s Astley Park. Glorious sunshine and milder conditions appeared to suit the young Harriers as a number posted their best results of the series. 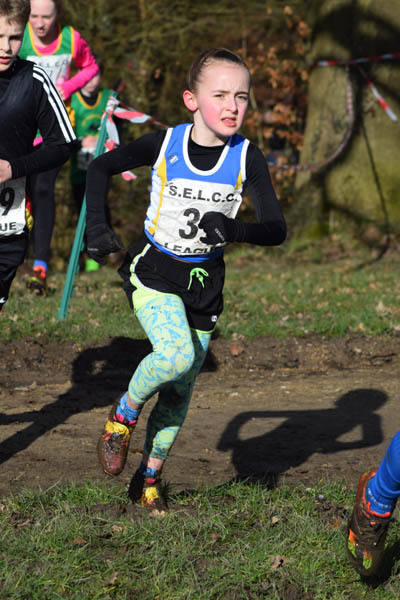 First up were the U11s and after an injury lay-off, Harvey Kenny bounced back to secure fourth place, which was enough to enable him to finish an excellent joint second in the series. 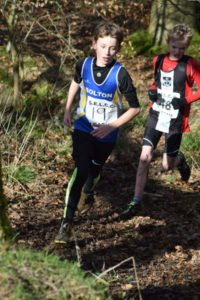 Next home was Sam Philbin in 18th (14th overall), then Alfie Dodds in 32nd (23rd overall), closely followed by Joseph Rossington in 34th as the boys team secured fourth (also overall). 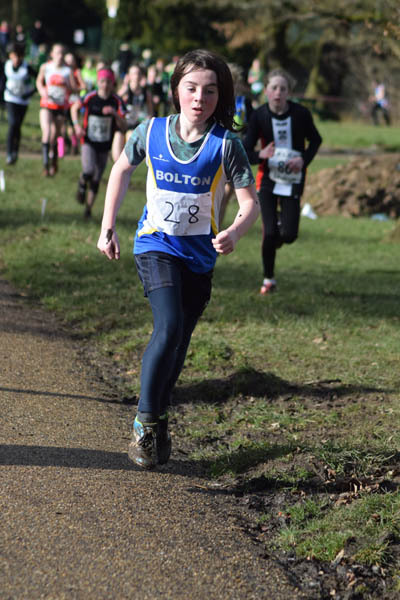 Once again, Scarlett Thompson battled hard for 16th (14th overall) and she will be looking forward to the next two seasons in this age group to improve her position even further. Cloe Bentley-Hughes worked hard as ever to finish 26th on the day and 21st overall. 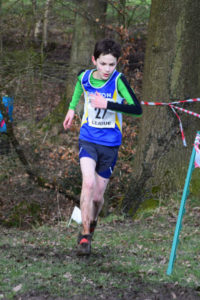 In the U13s, Laurence Britton saved his best performance of the series for this race, capturing an impressive second place and third overall. 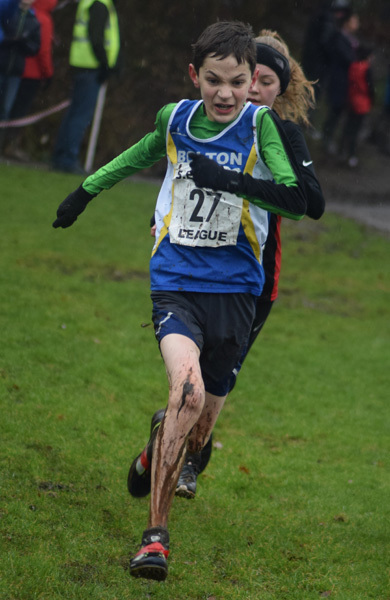 Oisin Behan also posted his best performance with an excellent 10th place (11th overall) and Josh Bentley-Hughes gave his all to finish a credible 15th (14th overall). 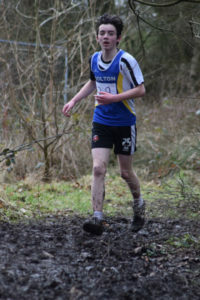 The boys team were third on the day but will be pleased to have secured second overall. 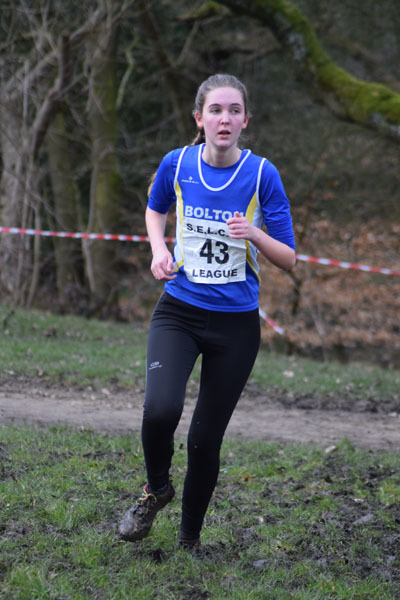 In the girls’ race, Lily Philbin finished strongly to capture 10th place (10th overall) with Hannah Swales in 21st (18th overall). Not to be outdone by his younger brother, U15 Ruairi Behan also ran well to secure 10th. Over a challenging 4.8km course, Molly Philbin bounced back from her recent illness to run well for fifth place (4th overall). 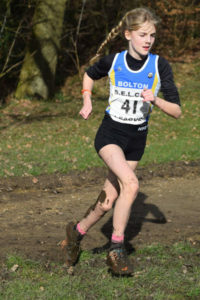 In the U20s, Rachel Bailey continued to impress – she was the 15th finisher overall in the women’s place, but this translated into second U20, meaning that she secured 2nd overall in the series. It has been a great effort by the Blue Vests taking part in this series of races, doing the club and Team Manager, Paul Philbin, proud in the process. To have three young athletes capturing series podium places and the U13 boys’ team achieving silver in the first year of affiliation to the SELCC is a deserved bonus. It was an amazing day at Manchester’s SportCity for our young Blue Vests at the Greater Manchester Sportshall Championships, with Team Manager Gwylim Jones very happy as a result. 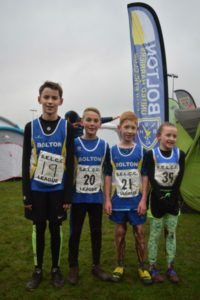 Both the under-11 boys and girls had two teams in the relay – the boys retained the title from last year (with the B Team finishing sixth), whilst the U11 girls came second. 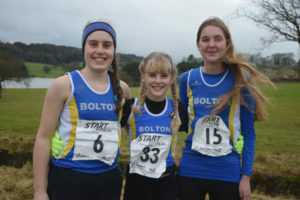 Notable individual podiums included Eden Penketh winning a silver medal at the 1 lap run and Sam Hazelwood winning the speed bounce for the second year running. 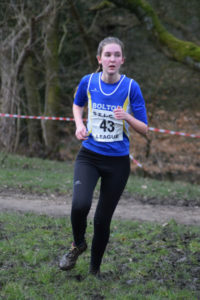 Also in the speed bounce, Isobel Oxley gained a bronze medal at her first outing for the club. The BUH&AC Awards Presentation Evening will be held on Friday 2nd February. The venue is Dobbies Sports and Social Club, Bradley Fold Road, Bolton, BL2 6RL. Doors will open at 7pm, for a 7.30pm start. There’ll be the awards ceremony (obviously! ), a choice of food, disco and a few surprises for good measure. This is a Club-wide event bringing together all the age-groups and disciplines for an evening’s entertainment. The tickets, priced £6 for Adults and £4 for under-16s, can be purchased from the indoor track foyer on Club nights from Frazer Jardine, Ian Jakeway and Lesley Harwood. Due to the anticipated strong turnout, shortlisted athletes will have the chance to purchase tickets exclusively until 22nd January. If nominated athletes cannot get to the track to purchase tickets by this date, please contact Frazer to confirm your intentions. Tickets will then go on open sale from Tuesday 22nd January on a first-come, first-served basis. Besides the social aspect of the evening, there is a serious side to the event – honouring the significant achievements and performances of club members throughout 2017. The judging panel would like to thank all those members that responded to the request for nominations. Most categories had several strong contenders and it was exceedingly tough to narrow down, nevermind select one winner. 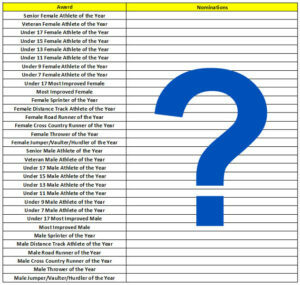 The shortlist for all categories can be downloaded by clicking on the image below. The names are in no particular order. 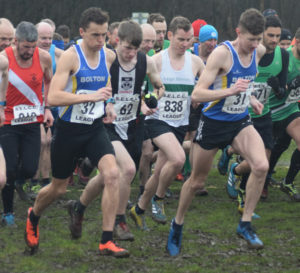 The third edition of the South East Lancs Cross Country League at Leigh was a cold and wet affair, with muddy conditions underfoot. 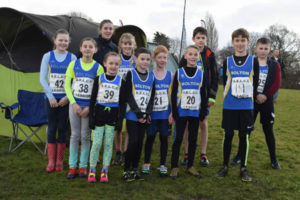 Still, several podiums were clinched across the age range to delight Team Manager Paul Philbin, including Harvey Kenny (U11 2nd), Laurence Britton (U13 3rd), Rachel Bailey (U20 2nd), Karl Darcy (MSen 3rd) and Paul Mills (M50 1st). 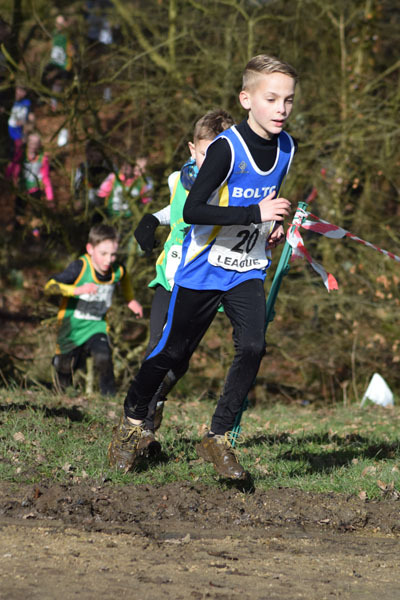 First up were the U11s and leading the way was Harvey Kenny, building on his impressive run in the county championships with a fantastic second place, just 5 seconds off first which he’ll be aiming for next time. Sam Philbin was next home in 19th, with Alfie Dodds in 27th place resulting in sixth place for the team. In the U11 girls Scarlett Thompson ran well again, achieving 14th place with Cloe Bentley-Hughes in 29th. 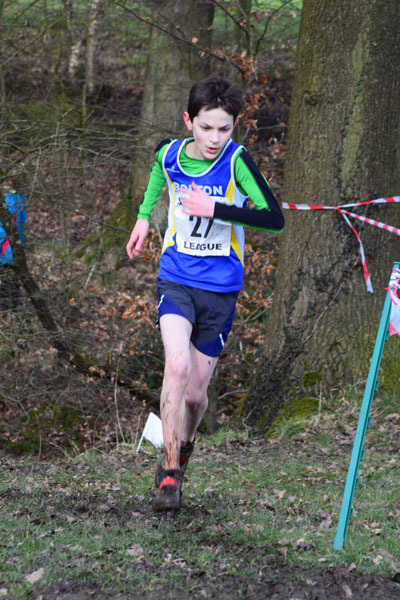 In the U13s, Laurence Britton ran superbly again to finish third, with Oisin Behan in 14th and Josh Bentley-Hughes in 17th, meaning the team secured fourth overall. For the girls, Lily Philbin battled hard for 14th, with Hannah Swales in 23rd. For the U17 girls, Molly Philbin ran well for 5th place over a challenging 5K course, whilst Rachel Bailey continued her impressive form in the Women’s race, finishing 12th overall and an excellent second place in the U20 category. 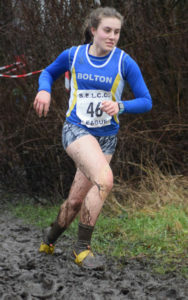 Next up were the men, with the 10K course well and truly churned up. 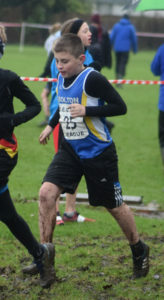 In the top ten, Karl Darcy’s bronze was joined by Tommy Harrison in sixth. 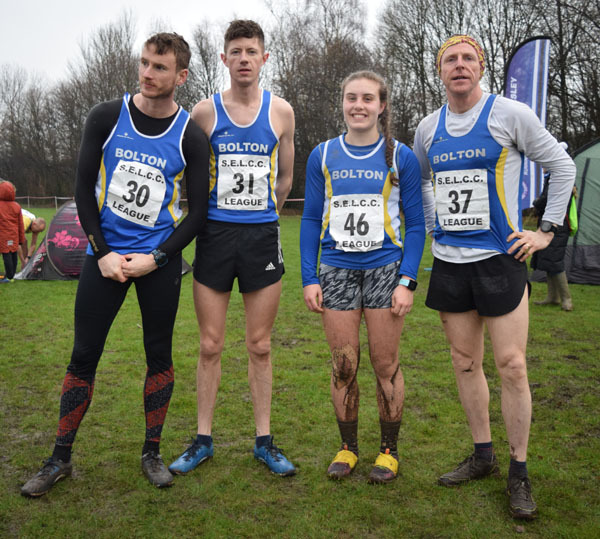 Paul Mills finished 19th overall and in doing so managed to reverse the standings from Oldham and secure first place in his vet category, whilst Craig Kenny was unfortunately unable to finish.